You’d have to admit that handing favors on Mehendi is not a new concept in Pakistan. Because we remember there used to be bangles and gotta adorned dupattas given away at Mehendi for the friends of the bride. 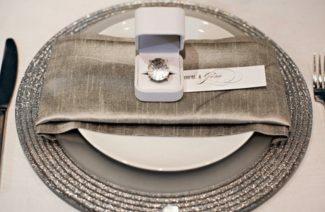 You can twist the idea around in your mind and come up with new favors for your wedding guests. This can be a project that you and your friends can tackle together and spent some quality time before the wedding. Imagine how much fun it will be to go shopping for favors and create fancy ideas about how to present them. People love these kinds of things, and let us assure you that your wedding guests will be no different. So gather their appreciation as a gracious hosts and give these practical and easy to come by wedding favors at your wedding. From gotta jewelry to henna design cookies, something colorful and traditional should always be made part of the Mehendi giveaways. 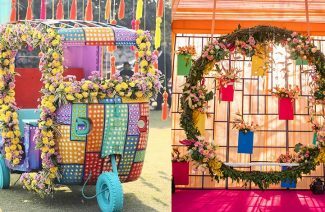 These ideas are affordable and can be easily recreated on your Mehendi or even Nikah. From gotta jewelry to henna design cookies, something colorful and traditional should always be made part of the Mehendi giveaways. Here are a few ideas.